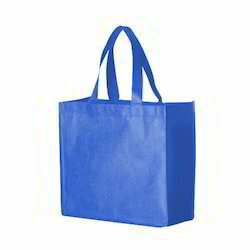 We are a leading Manufacturer of non woven bags and manually stitched non woven bags from Rajkot, India. To suit the varying expectations of the packaging industry, we are offering and extensive range of Non-Woven Bag to our clients. Features: Eco-friendly, high strengh and long durability suitable for repetative use, available with various color combination and attractive designs.